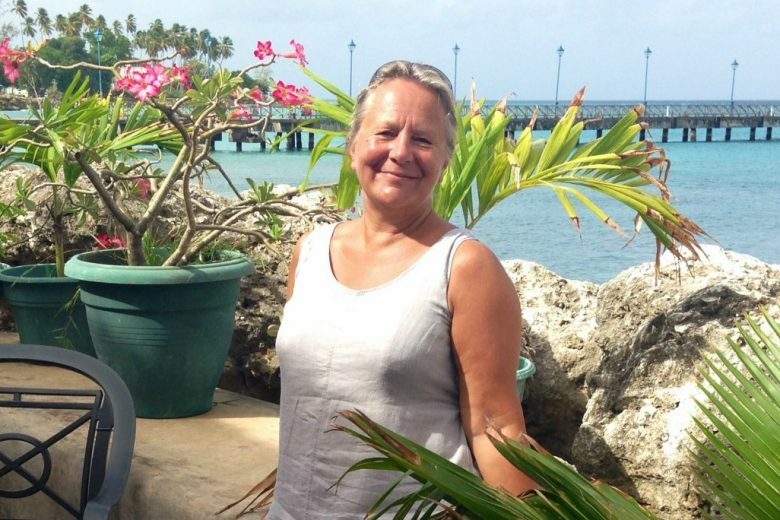 Read how, after falling in love with the Caribbean on a holiday, Jo Plummer started her own travel company, Tropic Breeze. Where did the idea for Tropic Breeze come from? After a holiday sailing around the Caribbean I realised there was a gap in the market for a yacht charter business. I had always been a keen sailor and had fallen in love with the islands, so this seemed too good an opportunity to miss. And so, in 1988, Tropic Sail was formed. The company was successful but took a lot of time and energy. With one small child and another on the way I realised something had to give. So in 1991 I decided to sell the company and focus on raising my family. However, ten years later, I went back to the Caribbean to celebrate a significant birthday, fell in love with the place all over again and decided it was a good time to set up another company, Tropic Breeze. This time the company was selling holidays instead of yacht charters. My first step was to go out to the Caribbean to research the product. I visited each of the hotels and resorts that I wanted to sell, then began writing a brochure. I placed adverts in national publications and started selling holidays, all while working out of a spare bedroom. Our USP is that we really stick to what we know, and only promote hotels and resorts that we have personally visited. The sales team regularly make trips to the Caribbean and Maldives, allowing them to use their in-depth knowledge to give expert advice and promise customers a tailor made, competitively priced holiday that will exceed expectations. Anyone who is interested in travelling to the destinations we sell! Thanks to the huge variety of activities and wonderful year-round climate, both regions attract a broad age range with diverse tastes. We get an enormous cross section of people booking with us, from honeymooners and retired couples, divers and sailors to families and groups celebrating a special occasion. We’re passionate about matching a customer’s requirements to the right destination and always do our very best to find something appropriate. And although many holidays we sell are relatively high value, there are options for lower budgets. A large percentage of our business is repeat and through recommendation, which is a great testament to our customer service. Therefore direct marketing to our existing database is invaluable, particularly email marketing. Our website is another important tool, so we advertise online and make use of social media. As we are known as a specialist tour operator and maintain a link with journalists, we are occasionally featured in national newspaper articles. Marketing to our existing database is incredibly important to encourage repeat business, allowing us to build up a relationship with customers which our friendly sales team develop further. The recession obviously had a huge impact on our business, as have recent political developments. However one of the biggest challenges we face is to keep up with far larger companies. Luckily we have built up an excellent reputation within the industry, with suppliers, with the press and with our customers. Our passion, knowledge and experience is what makes us different and has allowed us to remain competitive. I am extremely proud of the fact that we continue to be known and recognised as a Caribbean holiday specialist by the press and our customers, and that I’m still enjoying it! I have a strong work ethic and take a great pride in my work, but I’m also lucky that Tropic Breeze allows me to indulge my passion for travel. I find that I am continuously learning and constantly have to adapt and learn different skills, something that I really enjoy. There isn’t any one person in particular who inspires me, but I really enjoy watching everyday people and learning from them. Whenever I visit one of the destinations we sell, I am always fascinated by watching hotel managers work – I am continuously learning more about the travel industry. For me, flexible working is key. When I first started Tropic Breeze, I was able to choose my working hours to fit in around my family, and as my children grew older the office became a place where they could do their homework. Now it is much easier to fully devote my time to the business but I still enjoy a degree of flexibility – we have dogs in the office so I make sure that I get out for an hour or so each day to walk them! Do your research well and make sure you know your product. Be open to continuous learning and development. Recognise the value of the team you work with – team work is extremely important as it’s unlikely you’ll be able to do it all on your own. Everyone has an important role to play! You can find out more about Tropic Breeze on their website.